Anyway, it's big, but it looks way better in 1024x768 (obviously). It looks pretty shabby in 1600x1200... Oh, well. I only hope I can get better from here. Enjoy! 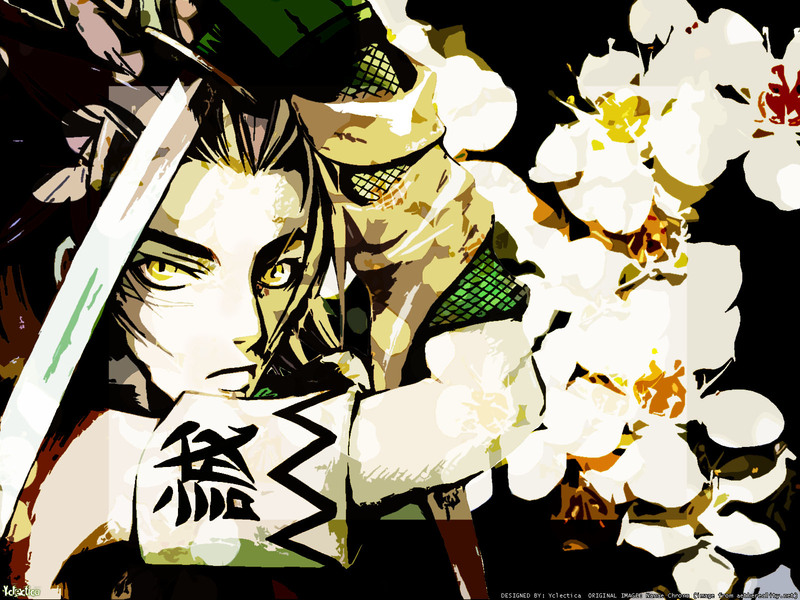 Browse Peacemaker Kurogane Gallery: Recent | Popular. First of all, I wanna say that it would've been better if you vectored it :). It would've taken I little more time than usual, but the effect would've been nicer ^_^. And the contrast is a little too big... or my screen is sucky [and it's really probable that it's the second XD]. But the idea is very nice, and I like the... guy ^^ [yah ppl ,sry, didn't watch Peace Maker Kurogane]. Well, good work, per total, it's a very nice wall ^__^ . Have phun~ and... well... fav ^^ ~ even though it isn't vectored [my obssesion, k33l me...] I like it a lot ^_^. It's a shame you didn't vector it. The wall is pretty nice, I'm not saying it's bad, but the vector would make it look just a little bit better. But even so, I still like it alot! I agree.. Very original :D :D Various parts of the outlines are really jagedy though, you should try to smoothen them out. Other than that, great work :) Keep it up! Very nice! I like the texture of it all, you did a pretty good job on it! Thank you for sharing it with us! Very nice! I like the texture of it all. J'aime beaucoup ton travail : tous tes wall me plaisent ! Merci !